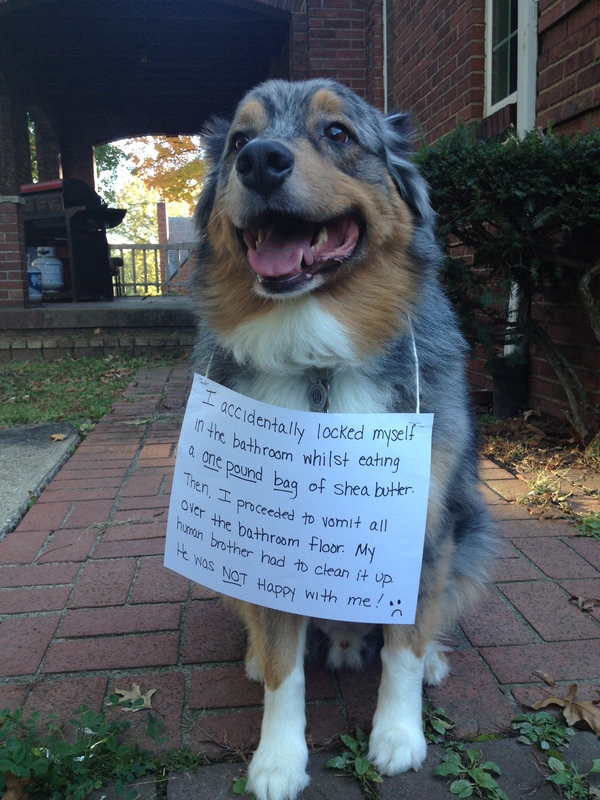 Posted March 23rd, 2019 by dogkeeper & filed under Disgusting Doggies, Submitted, Surprise Poops, Vomit Comet. 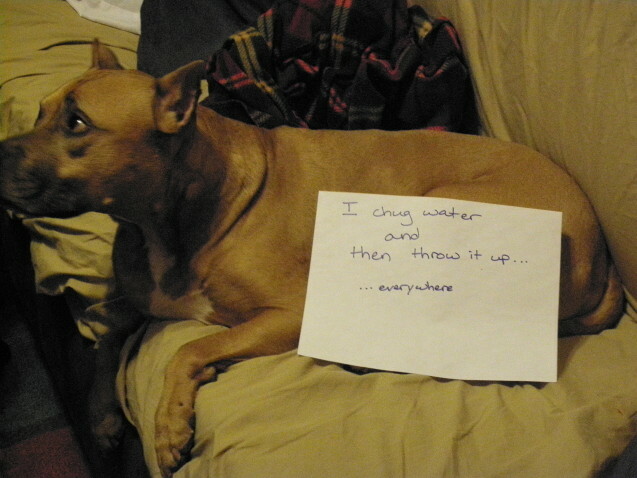 Layla came inside one morning and vomited on the kitchen floor right in front on me. I quickly realized she had thrown up dog poop that she just ate. Gross!!! 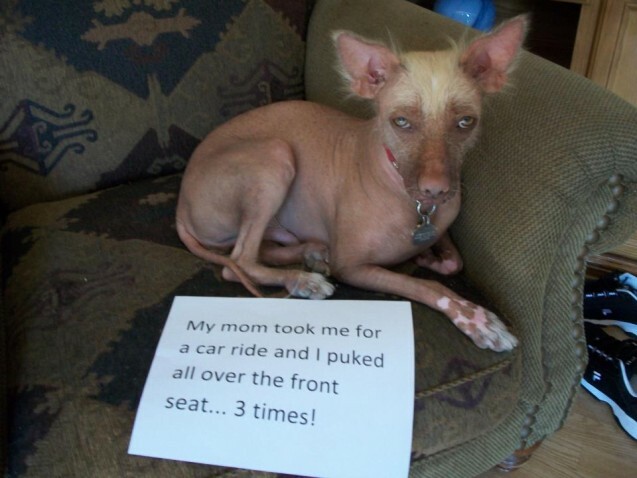 Posted November 13th, 2018 by dogkeeper & filed under Car Corruption, Submitted, Vomit Comet. 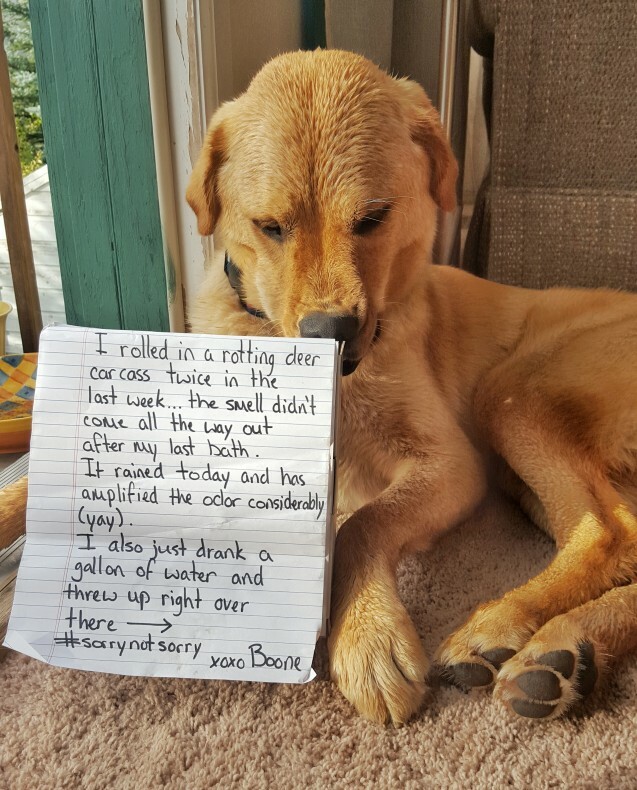 Posted August 19th, 2018 by dogkeeper & filed under Dog Shaming, Submitted, Vomit Comet. My mom sent this to me after she arrived home this afternoon from work. I feel like the image more or less speaks for itself. Posted August 5th, 2018 by dogkeeper & filed under Submitted, Surprise Poops, Vomit Comet. 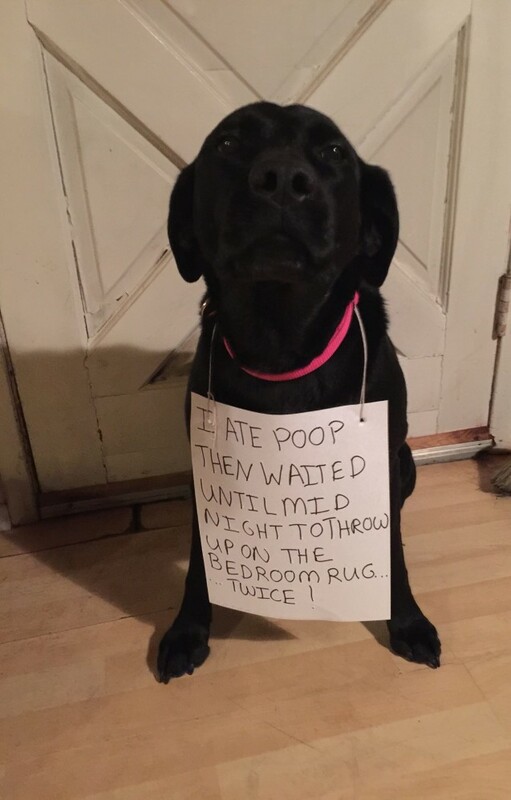 Jazzy eats mystery poop then waits until midnight to throw up on the bedroom rug. Posted June 24th, 2018 by dogkeeper & filed under Disgusting Doggies, Submitted, Vomit Comet. Boomer ate an onion (poisonous to dogs) and when we induced vomiting, we found his secret stash! Posted May 5th, 2018 by dogkeeper & filed under Submitted, Vomit Comet. 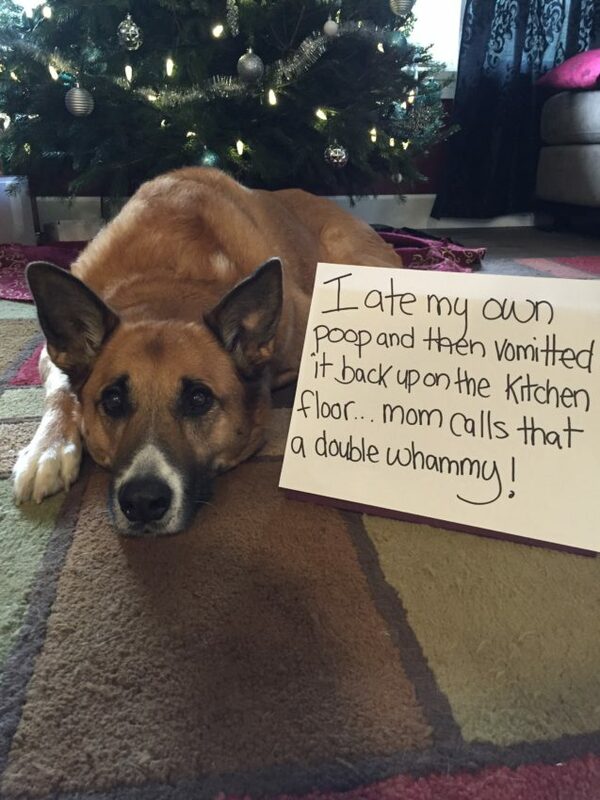 Posted December 9th, 2017 by dogkeeper & filed under Disgusting Doggies, Submitted, Vomit Comet. 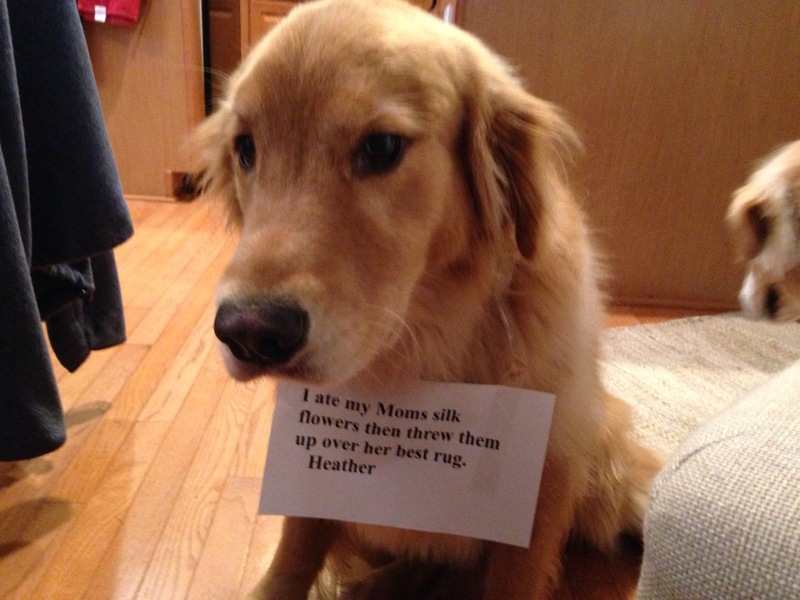 I rolled in a rotting deer carcass twice in the last week…the smell didn’t come all the way out after my last bath. 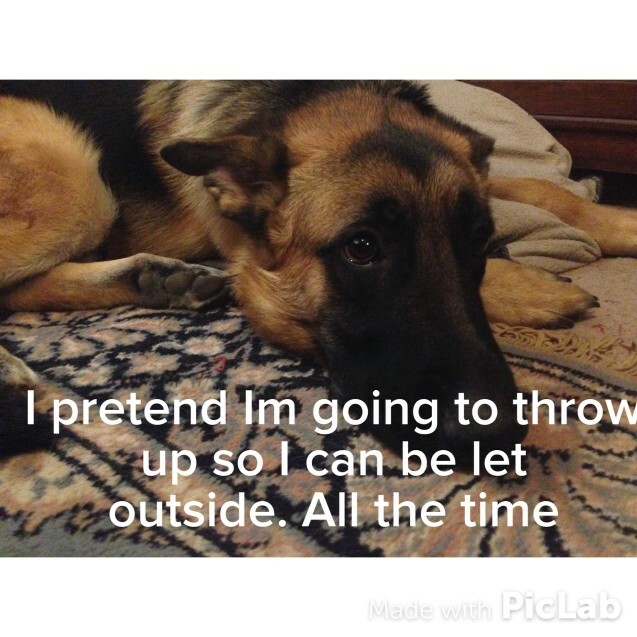 Posted November 14th, 2017 by dogkeeper & filed under Submitted, Vomit Comet, Who's Training Whom. I pretend Im going to throw up because I know I will get to go outside. When I get outside I don’t need to throw up. I just want a treat when I come back inside. 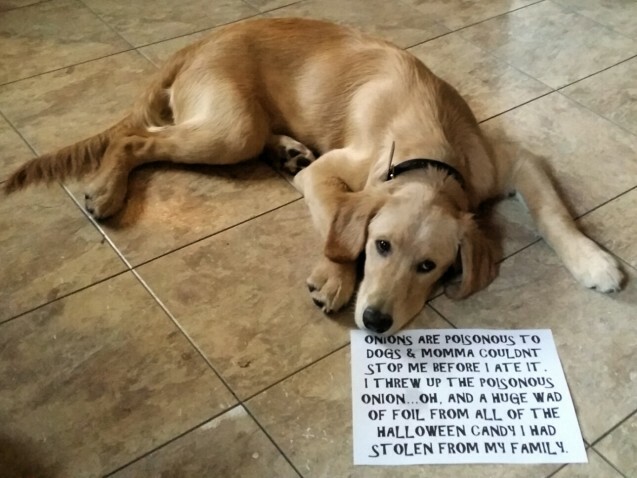 Posted October 28th, 2017 by dogkeeper & filed under Submitted, Vomit Comet. 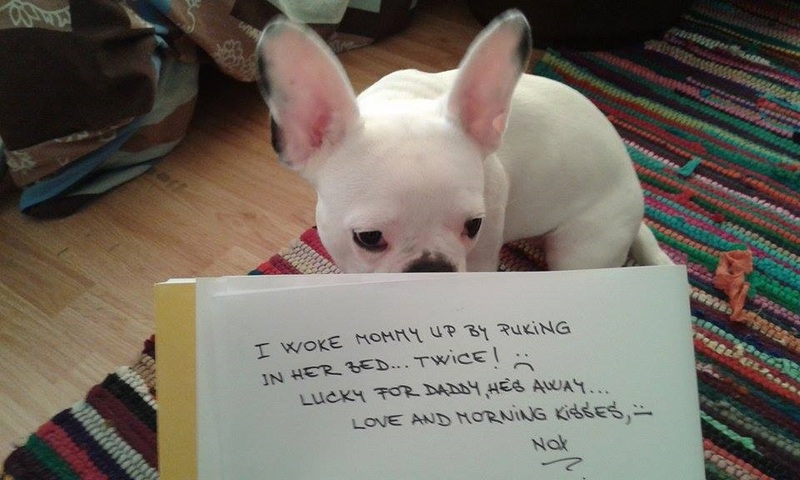 I woke mommy up by puking in her bed… Twice! 🙁 Lucky for daddy, he’s away… Love and morning kisses, Nox. Posted September 15th, 2017 by dogkeeper & filed under Submitted, Vomit Comet. I chug water and then throw it up….everywhere.